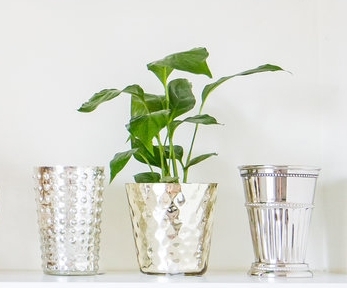 When you need a change in scenery at home or in the office, we have one great suggestion: bring in the blue! We can't get enough of blue and its many variations, and we just love how the right shade can brighten any room yet still feel neutral. Whether you want blue walls or simply want to add some pops of blue with accessories and fun accents is totally up to you. We love it all and are excited to share some of our favorite uses of blue in order to help you figure out what it is you really want! This fun buffalo check throw from Nantucket Looms adds a pop of blue to this beautiful living room without feeling overwhelming. Blues are always complementary when paired with other cool tones. 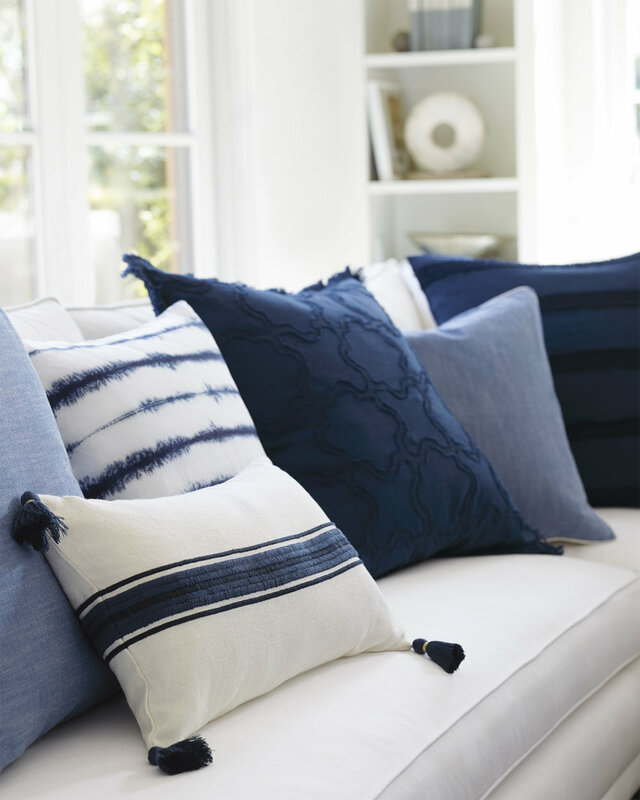 Blue pillows are such an easy way to add color to any space! This darling tassle pillow from Serena & Lily adds so much character to what would otherwise be a very plain and somber sofa. For an instant change in the look and feel of a room, try adding a blue rug! This Ashley Blue rug from Jaipur is one of our favorites as it adds a sense of beauty and warmth in an effortless way. In a neutral kitchen, blue bar stools add the perfect pop of color! These bright blue upholstered stools from Wayfair are trendy, stylish, and easy to love. Painting definitely makes updating the interior of your home a little more of a "process," so we suggest starting small. Painting a blue door like this beauty from Canadian Log Homes, is unbelievably refreshing and definitely feels less daunting than painting an entire room. However . . . 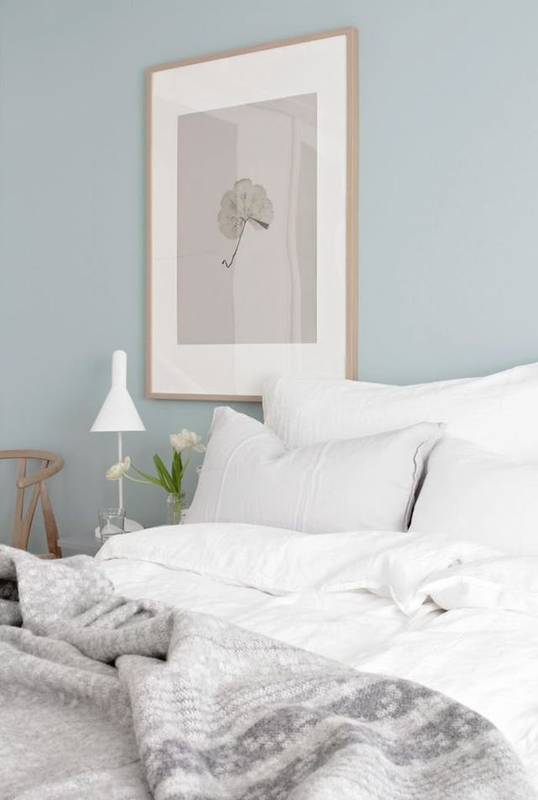 If you are in the painting mood, there are soft, subtle blues like Sherwin Williams Sleepy Blue that immediately offers a soothing feeling upon entering the room. Or if you want a rich, dark blue, we love the look of Sherwin Williams Naval. So many choices, and so many beautiful options when it comes to blue!